The 28 resource maps produced by the UP Cebu Phil-LiDAR 2 project have been handed to the local government units of Negros Occidental on 17 August 2016. They show in detail the agricultural and coastal resources of the province. UP Cebu Phil-LiDAR 2, headed by Dr. Judith Silapan, associate professor of biology, with Brisneve Edullantes as assistant project leader, is part of the bigger Phil-LiDAR 2 project which seeks to use LiDAR data to ensure that the ongoing programs of government agencies complement each other. Formerly called the Nationwide Detailed Resources Assessment Using LiDAR, it is directed by the Department of Science and Technology (DOST) and composed of various projects by other national government agencies chaired by the Department of Energy and Natural Resources. LiDAR or “light detection and ranging” is a surveying technology used to create high-resolution maps. Negros Occidental was the first of six provinces to receive the resource maps from Phil-LiDAR 2. It has 32 municipalities but only 28 of them were covered by LiDAR. Besides Negros Occidental, the provinces in Western Visayas are part of the Phil-LiDAR 2 Project in UP Cebu. During the ceremony, Engr. Rowen Gelonga, regional director of DOST in Negros Island, encouraged those in local government to be researchers and not merely users so as to push for innovation. Filipinos are capable of high-quality research, he said, as evidenced by the output of the project. For Atty. Liza D. Corro, UP Cebu acting chancellor and dean, the endeavor will help map out changes for the province. 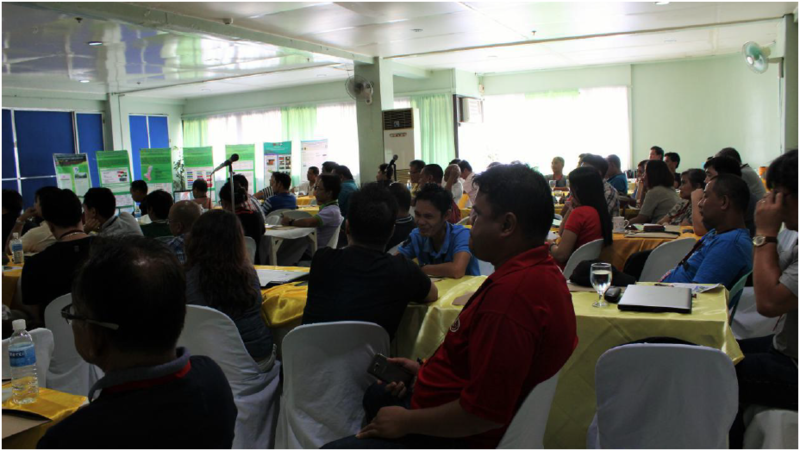 More than 100 representatives from local, regional and national offices came to what was described as “the biggest local maps turnover in a single activity for the whole Phil-LiDAR 2 project”. A two-day training was also conducted on August 18 and 19 to make sure that the local personnel can manipulate the maps using Geographic Information System.